Arnfinn Johansen is a semi-professional wildlife photographer based in Lillehammer, in the centre of southern Norway. 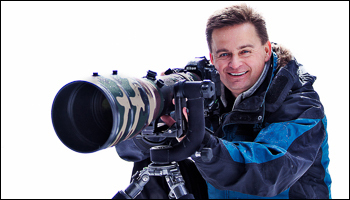 He is an elected member of the Norwegian Nature Photographers Association / NN which is a prestigious association of professional nature photographers with focus on environmental issues and ethical standards. In 2017 Arnfinn co-founded Oltepesi Tented Safari Camp which is an eco safari camp located in Maasai Mara in Kenya made to meet the needs of professional wildlife photographers and nature photo enthusiasts. Arnfinn also is photo guide for Zoom Fotoresor AB and Africa Geographic, and ambassador for the “Cheetah For Ever” program in Maasai Mara, Kenya. His images are represented internationally by NTB Scanpix news and photo agency which is the leading supplier of visual content in Scandinavia. Through his photography, Arnfinn seeks to convey the magic of nature, communicate its many moods and reveal its stories and secrets. His images are about more than just excellent composition and technical ability, they offer the viewer an intimate view of nature and a moment of reflection. Some of Arnfinn’s most powerful shots show his subjects in their natural environment, combining clean composition with the space and beauty of the landscape. He always looks for stories behind the images that need to be told, inspire respect for nature and remind us to be humble. When all of these elements come together in a single photograph, Arnfinn knows he has succeeded. Arnfinn’s work has been recognised in many international competitions, including European Wildlife Photographer of the Year (GDT), Asferico, Glanzlichter, Por el Planeta, Oasis, Global Arctic Awards, Memorial Maria Luisa (MML), Nordic Nature Photo Contest (NNPC), Nature’s Best Windland Smith Rice International Awards, Black & White Spider Awards, Sony World Photography Awards, Nature’s Best Photography Africa, among others. Arnfinn’s work has been on display at Smithsonian’s National Museum of Natural History in Washington, DC (U.S.), at Somerset House Gallery and Patrick Mavros Art Gallery in London (UK), at Iziko South African Museum in Johannesburg (South Africa), at Giacosa Theater of Ivrea in Torino (Italy), at Museum of Man and Nature in Munich (Germany), at Natural History Museum in Oslo (Norway), and in other citys like Mexico City in Mexico, Moscow in Russia, Kolkota in India, Oviedo in Spain, Fürstenfeldbruck and Lünen in Germany, among others. His images also have been published in both books, newspapers and international photography magazines. Arnfinn holds a Bachelor’s Degree in Finance and Business Administration and has over 20 years’ experience in entrepreneurship, governance, board work and management within the information technology industry in Norway. In 2008 he co-founded Styrmand AS, an IT consulting company based in Lillehammer and Oslo. Today, he is the company’s CFO and Chairman of the Board. There is a good synergy between Arnfinn’s day job in IT and his passion for nature photography. One provides an energetic schedule and challenging workload in an inspiring and expanding company. The other offers opportunities to travel, a chance to get outdoors into nature, and time to reflect and think. Importantly, both roles provide energy and invigoration to the other.